For instances with availability groups where you take backups on the secondary replicas you will need Linked Servers from your SQL server replicas to point to a central central database, this is so that the backups check can look for backups against all replicas and insert this in a central database allowing the report to aggregate the data. Hopefully in a later version we will be able to remove this requirement. There is a new setup process for the Inspector, below we have outlined the steps required to get you started. You have now created the Inspector schema and InspectorSetup stored procedure in your logging database, the messages tab will look like the below. If you are ready to upgrade/Install now, copy the contents of the messages tab and paste into to a query window, these are a bunch of default values but change them as you please, optional Parameters will be ignored when @InitialSetup = 0. For more details regarding individual Parameter settings during setup scroll to the bottom of this post for an explanation of what each parameter controls. Forgot to copy and paste the example procedure call? not to worry just run the following code for an example procedure call. When you are ready execute the InspectorSetup procedure, this procedure will create all Tables, Indexes, Procedures, Views and agent jobs required by the Inspector. Do not worry if you forgot to set @InitialSetup for your first install, we added code to validate this setting during execution where it gets changed to a 1 if required. Upgrading from V1 or V1.1? Nothing more you need to do. 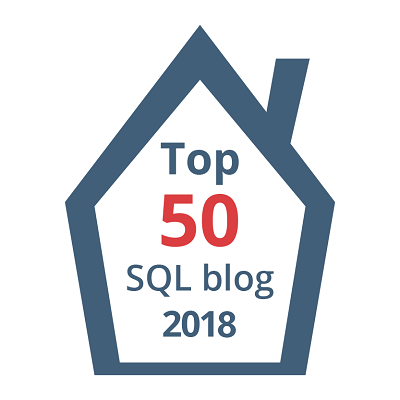 You should now have a bunch of new tables and stored procedures in your logging database and four new SQL Agent jobs with no schedules. Set schedules for your jobs and that’s it! I would recommend setting the Collection jobs to run approx 5-10 minutes before the Report jobs to allow sufficient time for the collections to run. To give it a test kick off the agent job ‘SQLUndercover Inspector Data Collection’ (for all servers if using linked servers) once complete start ‘SQLUndercover Inspector Report’ , if you are using linked servers then this will only produce the report on the target of the linked server. If you set an email address during the setup or directly in the settings table then you will be receiving an email shortly with the report (make sure you are on the target of your linked server if using linked servers otherwise you won’t be receiving a report). If you didn’t set an email during setup or set in the Inspector.Settings table then you will find the html code stored in the table Inspector.ReportData. @LinkedServername – Name of the linked server you will be using or leave as NULL if you are not going to be using linked servers.